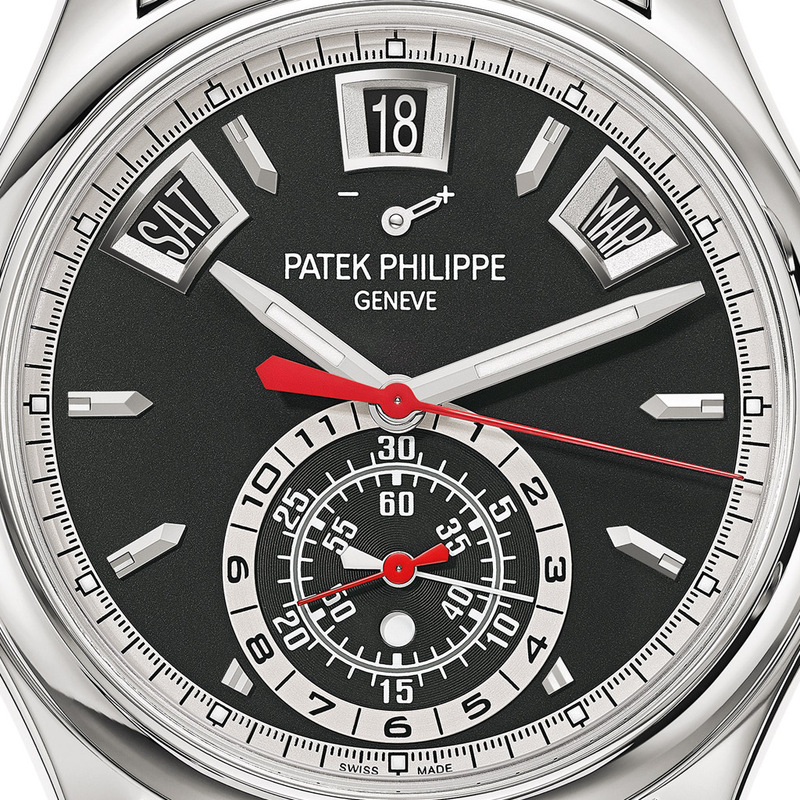 In 2014 Patek Philippe introduced an entry-level chronograph with a steel case, silver-white dial and black accents. 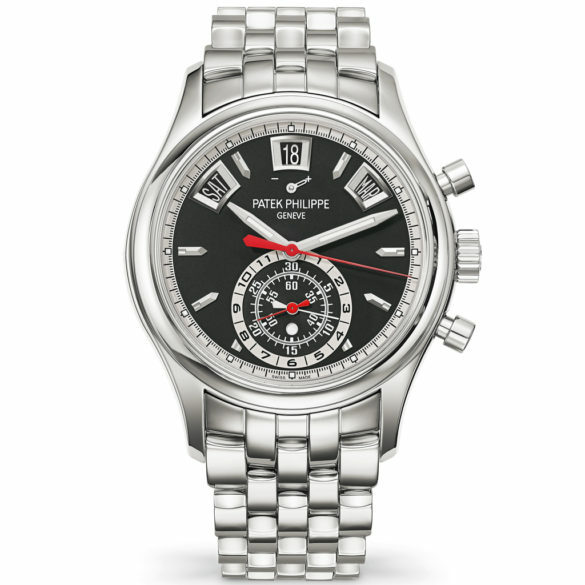 With this Patek Philippe Complications Ref. 5960/1A-010 Annual Calendar Chronograph the color scheme is inverted. Which makes it even more sportier and optically smaller. The Patek Philippe Complications Ref. 5960/1A-010 combines a flyback chronograph with annual calendar. 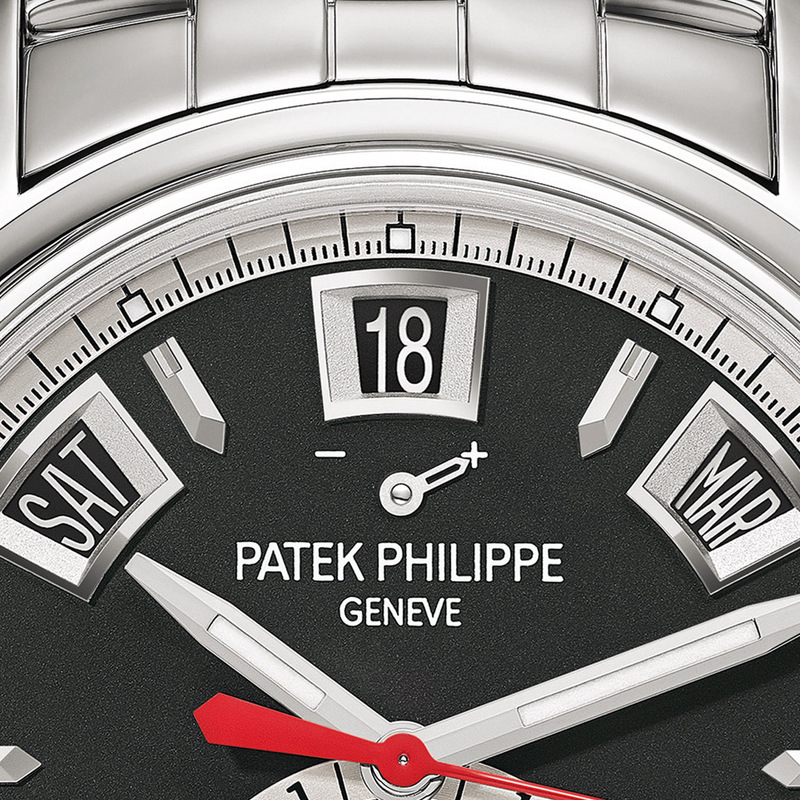 Three apertures on the upper side of the dial show the day, date and month. 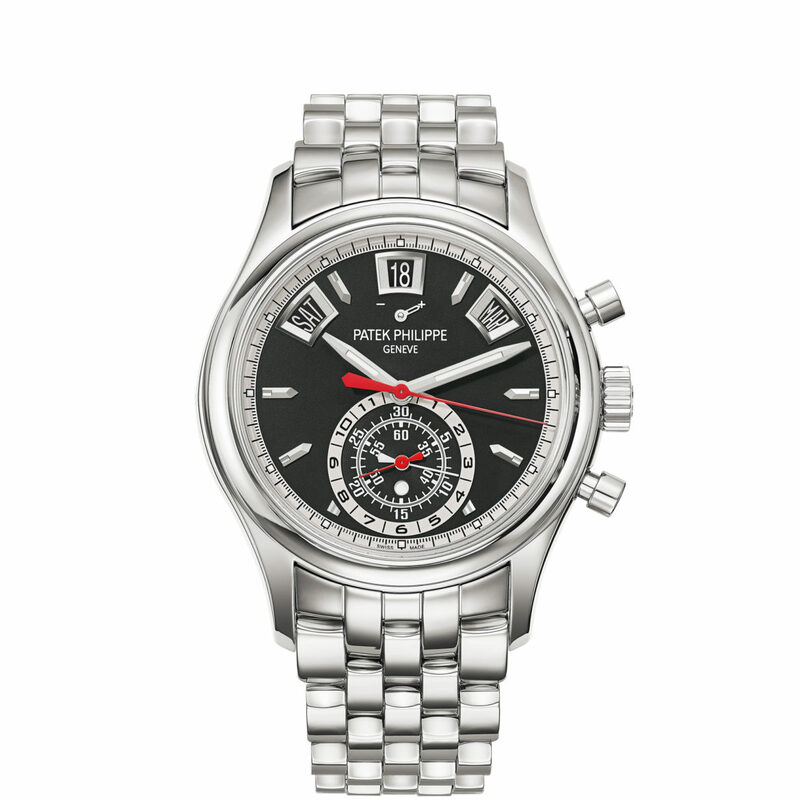 Just under the date at 12 o’clock is a power-reserve indicator. 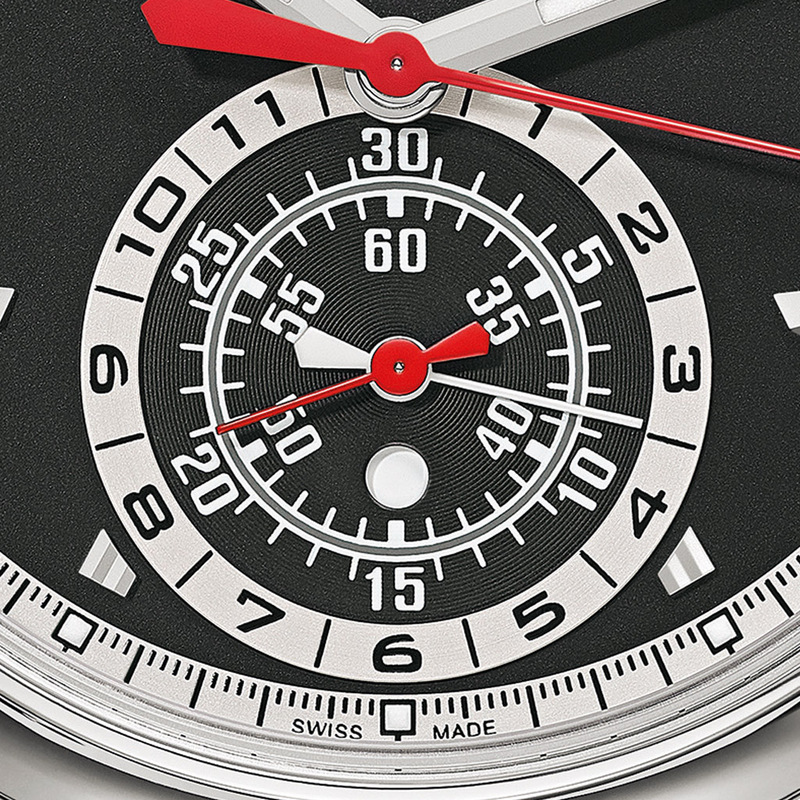 The column-wheel chronograph features a large seconds hand that can also be used as a running seconds hand. The column-wheel system has a modern vertical disc clutch to eliminate the risk of hand bounce or recoil when the chronograph is activated. And this innovative clutch operates in a virtually wear-free manner, the reason why the seconds hand can change function. A large subdial at 6 o’clock is a 60-minute and 12-hour monocounter. Almost in the middle of that subdial there is a day/night indicator. 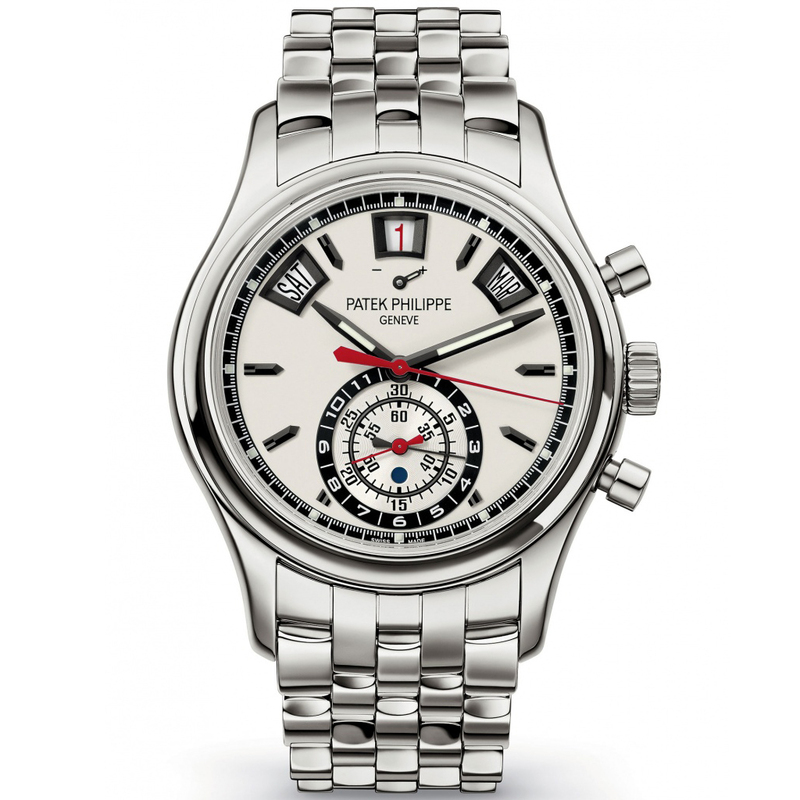 Although ‘entry-level’ for a watch costing around 50,000 doesn’t seem to be the appropriate term, it is for a Patek. And looking at the number of complications, its proven quality and its subtle design it’s not entry-level either. Which probably makes this Patek Philippe Complications Ref. 5960/1A-010 a perfect everyday watch and a good investment.